JOIN OVER 100 FRIENDS AND GUESTS SAILING! Cruise industry insiders can’t stop talking about the new Celebrity Edge. The technology, infused with five star luxury, where no expense has been spared, is making Celebrity Cruises competition take notice. Therefore, Cruise Everything knew that our next President’s Cruise needed to be on this exciting new ship. It is our pleasure to invite you to join David Fritz of Cruise Everything and other friends to our exclusive 2019 President’s Cruise aboard the new Celebrity Edge, December 1 to 8, 2019. On this week long voyage you will sail round-trip from Fort Lauderdale to San Juan, Tortola in the British Virgin Islands and St. Maarten. For modern adventurers, travel isn’t a spectator sport. It’s about being fully immersed in destinations and cultures without sacrificing comfort and style. Celebrity Cruises knows this. After all, they set the standard for modern luxury travel. And now they’ve made the destination experience even more immersive, starting right on board. Just as in our past President’s Cruise sailings, everyone in our private group enjoys added amenities and events that help create an atmosphere of camaraderie and fun. Come by yourself, or bring your family and friends aboard this unique social event. All of our past President’s Cruises have sold out, so make your reservation today by calling (239) 275-1717 for the best availability and the lowest price. Don’t miss this opportunity to share a vacation with old and new friends. A cruise event that has everyone talking. *Per person, based on double occupancy. Taxes and fess not included. When it came time to choose a name for this visionary vessel, Celebrity looked to the very thing that makes this ship so unique: the fact that during two years of exploration and excitement, every single design element has been taken to the leading edge of possibility. of ships designed to leave the future behind. Whether you want to clear your mind, fine-tune your body, reinvigorate your spirit—or all of the above—The Spa on Celebrity Edge is the unparalleled escape you deserve. With a design that rivals the world’s leading spas, a nature-inspired approach to wellness that includes an array of restorative spa, beauty, and fitness experiences never before offered at sea, Celebrity is pushing the boundaries of what a spa experience can be. World-class restaurants that open your world. Celebrity Edge has been designed to change the way you experience the world, and the culinary philosophy follows the same line of thinking. Celebrity turned their focus to the destinations they visit, bringing the flavors of the world to you—right on board. 29 unique food and beverage experiences crafted by a Michelin-starred chef speak to all of your senses in distinctly different ways. Celebrity Edge brings the world to you onboard through menus that deliver a true taste of international cuisine. With not one, but four main restaurants, plus a whole host of specialty and complimentary dining options, endless culinary adventures await. Celebrity Edge is changing the future of entertainment at sea—or anywhere else, for that matter. We’ve raised the bar on vacations to even greater heights with onboard entertainment that is just as revolutionary, just as technologically mind-blowing, and just as carefully crafted as Celebrity Edge itself. Visionary design and innovative entertainment come together through the collaborative genius of Scott Butler, the award-winning founding partner of Wilson Butler Architects; Patricia Urquiola, world-renowned industrial designer and art director; and Tom Wright, internationally acclaimed architect and designer of the Burj Al Arab Hotel in Dubai. Experiential, imaginative performances stay with you long after your voyage has ended. Through exclusive brand partnerships with Black Skull Creative, and the whimsical team at Three In One Entertainment and Consulting, Celebrity Edge brings award-winning shows and world-famous productions to you. Between its avant-garde, dedicated entertainment spaces and the creative production teams we’ve partnered with, Celebrity Edge surrounds you with engaging, spontaneous, and unforgettable entertainment moments that transport you from the everyday, every moment of your vacation. San Juan, Puerto Rico, with stunning beaches, is one of the busiest leisure and business travel destinations in the Caribbean. It is especially convenient for U.S. citizens, because they do not need a passport to go to Puerto Rico and the currency there is the U.S. dollar. Old San Juan's walled enclave delights visitors with a treasure trove of Spanish colonial architecture. The venerable San Juan Cathedral, gray cobblestoned streets and pastel-colored buildings give the Puerto Rican city the glamorous look of a movie set. Visitors will find a deep respect for the past combined with passion for the trends of the present. San Juan houses cultural attractions such as the stunning Museo de Arte de Puerto Rico, the state-of-the-art Coliseo de Puerto Rico that has welcomed major superstars and athletes, and a multimillion-dollar convention-center facility—the largest in the Caribbean. Historic neighborhoods offer sophisticated restaurants that combine Latin, Caribbean and Asian flavors. Cosmopolitan lounges, restaurants and nightclubs all around town fuel the city's reputation as a late-night haven for beautiful people. The capital of the British Virgin Islands, Road Town is located on the large island of Tortola. One of the advantages of Road Town is its proximity to other attractions in the British Virgin Islands—ferries constantly depart from the ferry terminal for nearby destinations. Road Town itself boasts a variety of fun temptations, including fantastic diving and sailing, as well as a multitude of friendly locals. Road Town is situated on the horseshoe-shaped Road Harbor in the center of the island's south coast. The population was about 9,400 in 2004. The name is derived from the nautical term "the roads", a place less sheltered than a harbor but which ships can easily get to. A 69 acre development called Wickham's Cay, consisting of two areas that were reclaimed from the sea and a marina, have enabled Road Town to emerge as a haven for yacht chartering and a center of tourism. This area is the newest part of the city and the hub for the new commercial and administrative buildings of the BVI. The oldest building in Road Town, HM Prison on Main Street, was built in 1774. St. Maarten, the Dutch side of the island, is still somewhat more developed for tourism than the French side, with large hotels, villas, condos, resorts, time-share developments, casinos and an amazing variety of nightlife. Its capital, Philipsburg, is a favorite destination of cruise ships and plays host to thousands of tourists when ships are in port. The French and Dutch sides of the island, although culturally distinct, have a shared history dating back to the early 17th century. Early settlers banded together to ward off the Spanish, then divided the 37-sq-mi/96-sq-km island between themselves. The hilly, southern Dutch side is the smaller half, covering 16 sq mi/41 sq km. The French side is often called "the north" by locals. The Arawak Indians named the island Soualiga, or Land of Salt, and the Great Salt Pond, near Philipsburg, remains a prominent geological feature protected by local environmentalists. The capital's sheltering Great Bay has attracted international traders for centuries, and St. Maarten is still known as a duty-free shopper's paradise. With its sheltered harbors, trade winds and proximity to other islands, St. Maarten is also a yachting hub. The Dutch side changed its status in October 2010 from an island territory of the Netherlands Antilles to an autonomous country within the Kingdom of the Netherlands. Queen Beatrix of the Netherlands remains head of state, while The Hague continues to be in charge of overseeing foreign affairs and defense. The people of St. Maarten remain Dutch nationals and carry Dutch passports. Brilliant innovations give you open air access to the sea, whenever you wish. The latest technology lets you precisely adjust nearly every comfort feature in your stateroom, suite or villa. Reimagined spaces feature larger living areas, bigger bathrooms, and a king-size bed (convertible to two twin beds) in 99% of our rooms—an industry first for premium cruise lines—plus Celebrity’s eXhale™ bedding featuring the Cashmere Mattress. With the widest range of staterooms in the Celebrity fleet, there’s a room on Celebrity Edge perfect for your vacation needs. With ample living space, bigger bathrooms, and more drawer space, the Deluxe Inside and Inside Staterooms become your home away from home while on board. Larger living spaces and expansive views make Oceanview Staterooms the ideal place to unwind at sea. Edge Class accommodations have the latest technology to precisely adjust nearly every comfort feature. Veranda Staterooms add the luxury of outdoor space to enjoy the sweeping ocean views. Staterooms that go right to the water’s edge with the touch of a button, these Infinite Veranda take your whole room right to the water’s edge, giving you open air access to the sea whenever you wish. With Celebrity Edge, the focus is always on modern luxury—even when you sleep. Exactly what the name implies, you’ll enjoy dedicated service from Priority Check-in at the pier to the time you head home. A dedicated concierge is always just steps away from your room to assist with your vacation needs. Attend exclusive events, including a Welcome Aboard Luncheon and Destination Seminar. Then there’s the room, the Infinite Veranda that takes the whole room right to the water’s edge. Here, you’ll find it’s little details so meticulously thought out that they truly make a world of difference. It’s a room that’s so much more than a room—it’s an experience. The ultimate in spa-inspired experiences, these staterooms are designed to indulge at every turn. From the Infinite Veranda that takes the whole room right to the water’s edge to Blu, the exclusive restaurant featuring favorite dishes reimagined with a healthier twist. Nestled close to the spa, you have unlimited, complimentary access to The Sea Thermal Suite, along with a dedicated Spa Concierge who’ll be happy to make reservations for you—or create a whole spa regimen for you to follow during your cruise. During your cruise, delight in a variety of spa-inspired stateroom touches, including: the Bossini shower panel, aromatherapy diffusers, pillow menus, daily deliveries of flavored tea and fresh fruit upon request, and the exclusive eXhale Bedding featuring the Cashmere mattress. These large suites feature a king-sized bed with views to the floor-to-ceiling window and sliding glass door. From the sitting area, featuring a signature Kelly Hoppen wooden rocker, step out onto a private veranda. The split bathroom features a large spa tub with shower and a separate toilet area. A sliding panel provides views to the room and the ocean beyond. Sky Suite guests enjoy access to The Retreat, featuring a private restaurant, exclusive lounge, and a private pool area complete with its own pool bar. Sky suites also offer a variety of connection options with other staterooms for families and friends who want to stay close when traveling together. These two-room suites feature a large living and dining area with floor to ceiling panoramic windows, private veranda, and a master bedroom with a king-sized bed from our signature Cashmere Bedding Collection. The split bathroom offers a powder room, a separate spa tub/shower area, and a master dressing area with dual sink and vanity. The luxury 950-square-foot, split-level Edge Villa residences are another new suite category on Celebrity Edge, and the first of their kind in the fleet. With two stories of windows that look out over the terrace (featuring a three-feet-deep plunge pool and inviting lounge furniture) to the incredible ocean views beyond, it’s an open and airy environment that truly invites the outside in, and vice versa. Edge Villas not only offer private outdoor terraces, but they also have direct access to The Retreat, an exclusive area for Suite Class guests. Step right out to The Retreat Sundeck and The Retreat Pool and bar, or retreat to your own private oceanfront villa. The choice is yours on Celebrity Edge. The Penthouse Suites combine all the innovative amenities of our staterooms with the exclusive benefits of being a Suite Class guest. They include a master bedroom, bathroom, and dressing room, living/dining area, guest bedroom and bathroom, terrace, and private hot tub, plus a butler on hand to ensure you never have to lift a finger during your vacation. For the interior design, we once again enlisted Kelly Hoppen to bring her unparalleled vision to the table. Together, we created personal environments that rival the best boutique hotels in the world—many of which she’s designed for. As an Iconic Suite guest, you’ll feel like you’re on top of the world—literally. Positioned high on top of the ship, above the bridge, the new Iconic Suites offer panoramic views from front to back. They’re also the most luxurious and largest in the fleet: Each suite is an opulent 1,892 square feet, not including the outdoor space with private hot tub and stylish furnishings, which adds more than 689 square feet to the grand total. All suite guests will have private access to “The Retreat”, featuring a private restaurant, exclusive lounge, and a private pool area complete with its own pool bar. The exclusive sanctuary for every Suite Class guest, The Retreat is your private paradise aboard a floating paradise. It features The Retreat Sundeck, a spacious outdoor lounge area that makes it easy to unplug with plush, stylish furniture, a full-sized pool, and a hot tub, as well as dedicated Pool Butlers. Beyond its outdoor spaces, there’s The Retreat Lounge—a space available 24/7 for beverages, gourmet bites, and live entertainment. 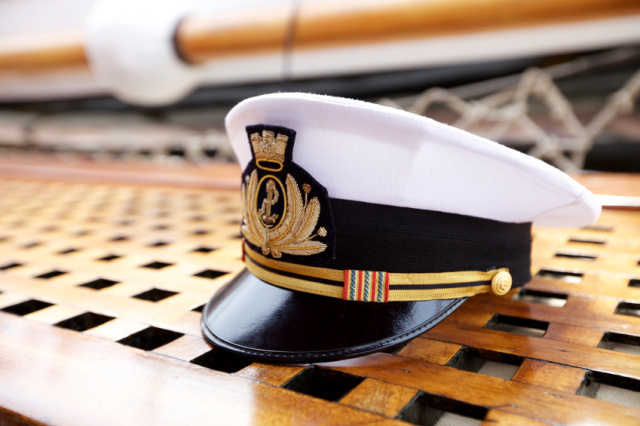 Here, you’ll have access to an exclusive concierge who’ll make any arrangements you need, from ship to shore. Open for breakfast, lunch, and dinner, Luminae @ The Retreat is a boldly elegant restaurant with an interior as distinctive as the menus. The modern, eclectic cuisine served here is crafted by our Michelin-starred chef, and not available anywhere else on board. All indulgent. All complimentary. And all exclusive to Suite Class guests on Celebrity Edge. All amenities listed are subject to change. All rates listed are per person and based on double occupancy. The prices listed below are special President’s Cruise Rates exclusive to Cruise Everything and based on availability. Once we sell out of the group rates listed, additional space will be sold at the prevailing cruise line rate. Since rates and availability are subject to change, please call our office for current inventory and prices. Visit www.CruiseEverything.com for a complete Edge Deck Plan. Additional stateroom categories may be available at our special group rate. Ask Cruise Everything for details. 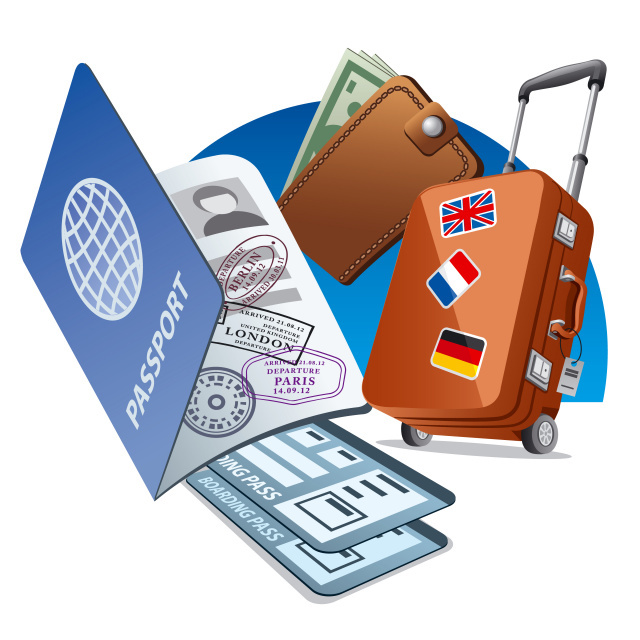 Additional items such as air, pre/post hotel and transfers may have a different penalty. 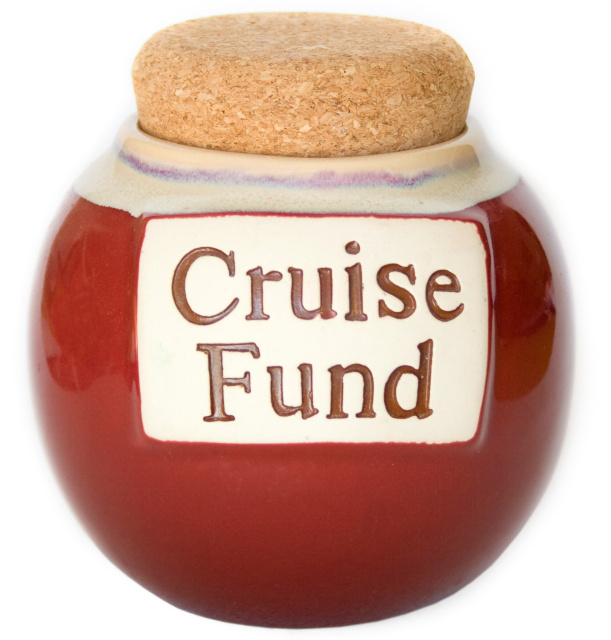 Cruise Everything reserves the right to charge a cancellation service fee for any cancellation made after deposit. Click here for details. Cruise itinerary, events, celebrity and group hosted participation, amenities and gifts are subject to change. Taxes and fees include CE Cruise Group Fees. Interior staterooms and special rates for any category booked such as resident rates (if applicable) do not include the Classic Drink Package, pre-paid gratuities or when booking a suite with some of the special suite amenities. Some restrictions apply. Visit www.celebritycruises.com for full terms and conditions. Shipboard Credits do not have any cash value and expires 10:00 PM on the final night of the cruise. Taxes and fees listed are subject to change and include the cruise taxes and any CE group fees. Offers are subject to availability and change without notice. Ships Registry: Malta. ©2018 Celebrity Cruises Inc.Copyright ©2018, Cruise Everything and Fritz Travel Inc. CLIA # 00397213. FST # ST14302.